Eighth Edition, pub date 2014. 368 pages with over 450 photos, maps and illustrations. 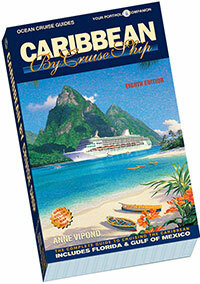 The new updated eighth edition covers the world’s most popular cruise destination, the Caribbean. Rich in history, culture and tropical beauty, readers can learn about all aspects of this exciting destination with Caribbean By Cruise Ship. Authoratative information on subjects ranging from best beaches within walking distance of cruise piers to detail on attractions – all backed up with maps for every island and port. 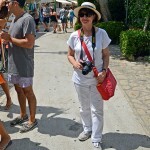 History, natural phenomena and plant and animal life are also included. New 8th edition has all color photos and maps throughout and includes a giant pullout color map showing the entire Caribbean with cruise routes. Port maps show exact location where ships dock so you can get around by yourself or see where your shore excursions go.